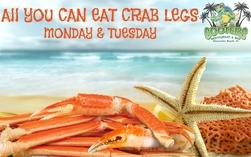 Cooters is Home of the All-U-Can-Eat Crab Legs Special! 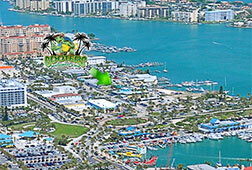 Home of the Original All-You-Can-Eat Snow Crab! Voted Best Crab Legs Tampa Bay! Originated by Cooters, and often immitated, but never duplicated! We serve only PREMIUM #1 Crab Legs! Cooters has the best legs in town! Hands down! We started this wildly popular special over 22 years ago, and it continues every Monday and Tuesday, ALL DAY & NIGHT - starting at 11:00 am. Enjoy the best ever Crab Lunch or Dinner! 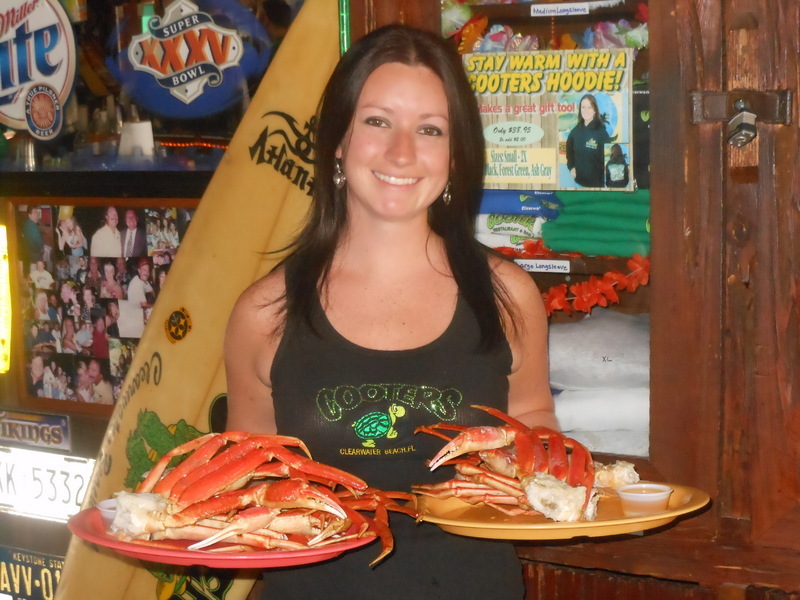 Cooters All You Can Eat Premium Snow Crab is served with french fries and hot molasses bread. All three items are All You Can Eat. Come early and enjoy one of our refreshing Specialty Drinks with your snow crab. Our most requested: CooterAid! Note: Last seating for AYCE is 9:30 pm, so that you'll have plenty of time to for your re-orders! Kitchen closes at 10:30 pm and your First Order must be placed by 9:30.
Insider tip: Come for Lunch or an Early dinner (before 6 pm) to beat the crowd! Busiest time is usually 6-8:30 pm. For starters, be sure to try a cup of our House made She Crab Soup, and for a crowd pleaser, everyone will love our Crabby Shrimp Dip! Another Cooters original…Super Grouper Thursday….Real, Fresh Florida Grouper, prepared a variety of ways, all at special prices, all day, starting at 11:00 am. Our Special Super Grouper Menu features: Crab Stuffed Grouper, Grouper Parmesan, Grouper Piccata, Buffalo Grouper Sandwich, Blackened Grouper, Grilled Grouper, Fried Grouper Dinner, Grouper Surf & Turf, Grouper Cheek Caesar, Grouper & Shrimp Basket, Grouper Reuben, and the best Grouper Sandwiches on Clearwater Beach! When you're hungry for Fresh Grouper for lunch or dinner, Cooters Restaurant & Bar is the place to go! Friday and Saturday starting at 5 pm, and Sunday starting at 11:00 am, you'll find Chef inspired Dinner Specials featuring Steaks and Seafood. Don't miss the boat on our delicious specials! 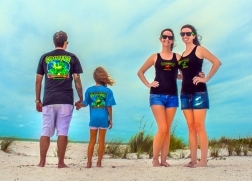 Our legendary Happy Hour features the coldest beer on the beach, served in chilled beer mugs, plus awesome specials on oysters, wings & shrimp, liquor drinks and wine. 3-6 daily! 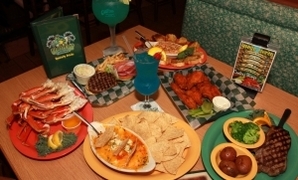 We also have Late Night Happy Hour 10 pm - close in our adjoining sports bar.